Asia is pivotal to the future of mobile contactless payments. The region has the numbers, and the markets are mostly EMV compliant or in the process. Some have moved further down the path of contactless than many others across the rest of the world. Veterans of the payments space will recollect the early pioneers of mobile payments came from this region. There is a quiet confidence in innovation centered around consumer aspirations, cashless evolution and new strategic paths. 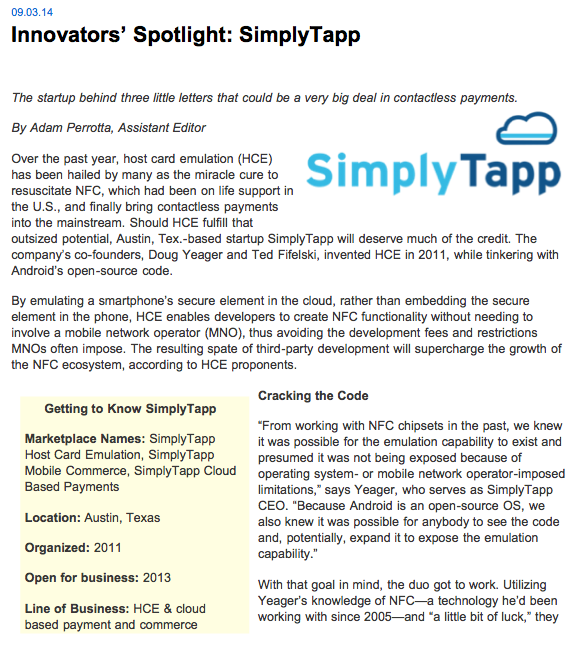 NFC via HCE is important for the future of cashless Asia. This region consists largely of dense urban ecosystems where footfalls are high, queues are long, security is highly desired and the need to keep moving is critical. Contactless modes allow ease of payments(tap, no signature below a limit), a strong sense of security (I don’t hand over my card) and speed of throughput (smaller queues at checkout). Host Card Emulation enables contactless transactions across devices and carrier networks, allowing issuers to take control of the payment process and brand, and invest in growing their market. It enables banks to shift issuance towards real time, virtual and customized offerings without spending a fortune. Customers and banks are able to interact to control spend and credit exposure. 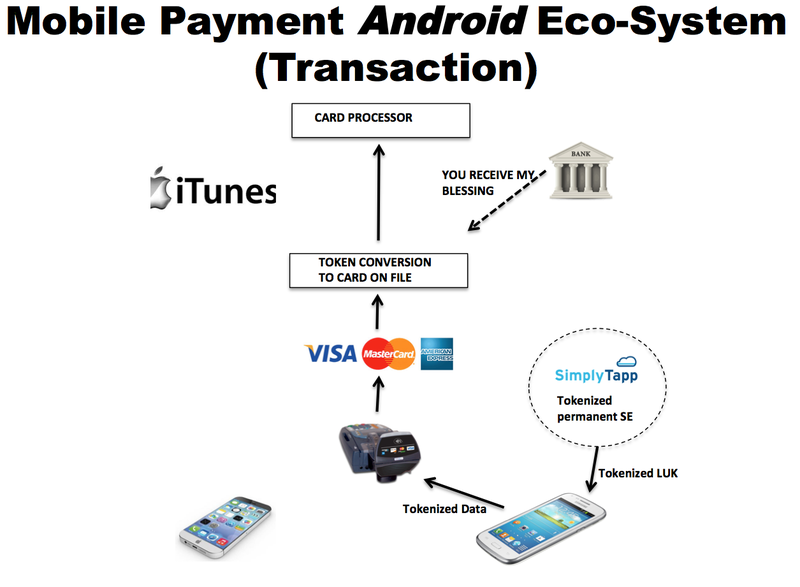 Transforming transactions for the mass affluent by offering them the security of a physical tap via mobile with the scale and ease of a digital backend is the core appeal of HCE. 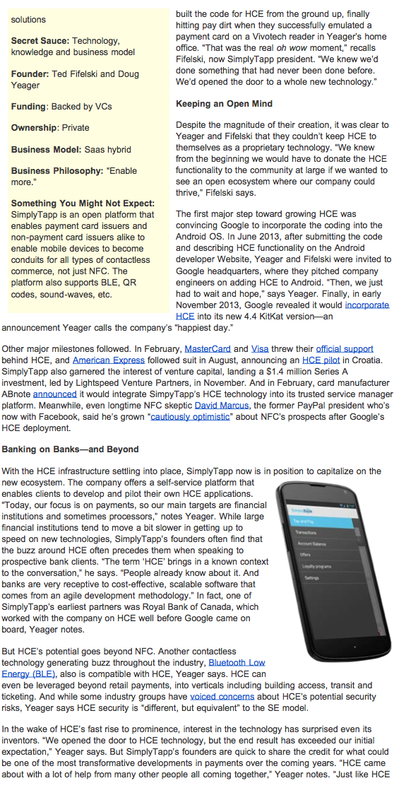 SimplyTapp brought HCE to the world in 2012 and has since worked with key stakeholders to make it universally available. For issuers in emerging and mature Asia, SimplyTapp offers a highly flexible, lean and cost-effective solution that can launch services in a few weeks. Beyond the solution, we have committed ourselves to helping issuers, networks and regulators build innovation frameworks to take digital transactions to the masses. At the 5th Asian Smart Card Conference in Bangkok, we look forward to enriching conversations that help move mobile contactless transactions in this region to the next level. Talk to us. We are committed to Asia. -Kaustuv Ghosh runs the Asia business for SimplyTapp. He is based in Singapore and is available at kaustuv.ghosh@simplytapp.com. Reach out to Kaustuv or to info@simplytapp.com to discuss how SimplyTapp can help you launch mobile contactless payments rapidly and cost effectively. 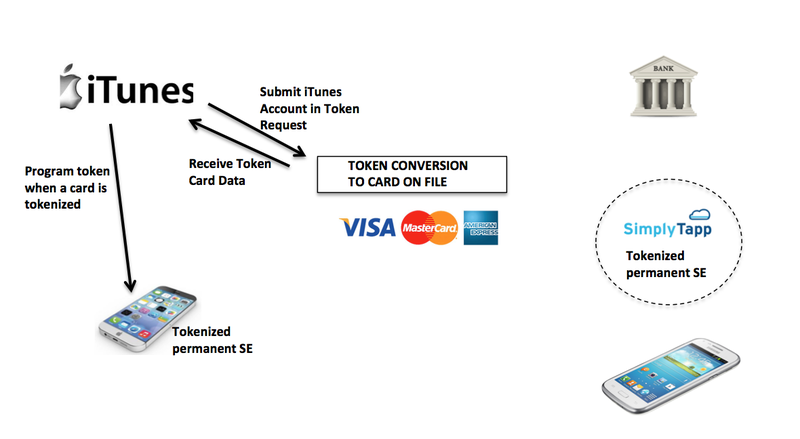 It is important to understand what tokenization means in the context of the introduction by Apple on Tuesday. The word "tokenization" can sound very general, complex, and unknown the way it is being used in payments today. I think many use the term without really understanding the important details of the concept. I sort of relate it to when i pick up my 4 year old daughter from sunday school class, I will ask her what she learned, and she knows that if she answers "God", that she is right. A token may be created once for the life of a credential (card). 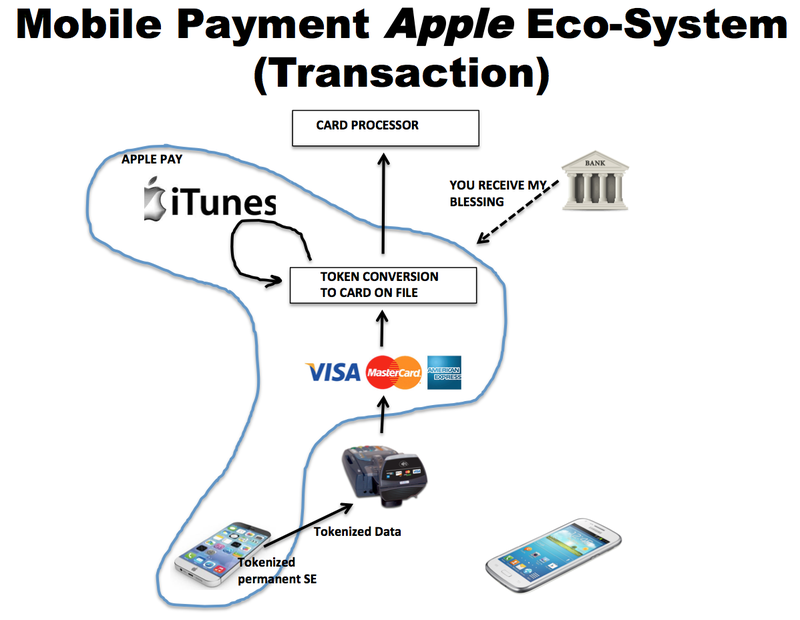 This is easiest to understand with the Apple Pay use case. The secure element on the phone is programmed at the factory when the iPhone is built to support many different card standards. At the time when the token data needs to get programmed into the device, Apple requests a token for that device from the card networks. The networks need to keep track of the token because they need to know how to translate that token into iTunes identity for processing the iTunes selected card during transactions with the payment acceptor. But the important piece is that this token is a static identifier for the life of the card that was programmed. THE TOKEN HAS NOW BEEN CREATED!! Keep in mind for cryptogram creation and cryptogram validation, there does not need to be a run-time link between the validator and the tokenized card (this is obvious by the apple deployment of a hardened secure element on the phone). So understanding how tokenized or non-tokenized cryptograms are created and validated is important. By the way, the algorithm is identical for tokenized or non-tokenized. The "tokenized" part of the features is actually out of the scope of cryptogram calculation / validation. 1) card creation time, the token issuer authority (card network) contains an issuer master key for a "tokenized" BIN. The master key for the "tokenized" bin is used to create a "tokenized" Unique Derived Key (tUDK) and "tokenized" Personal Account Number (tPAN) for each "tokenized" card when a Token Requestor requests a token on behalf of a card issuer. 3) Now from a token requestor perspective, it is business as usual for tokenized card personalization. 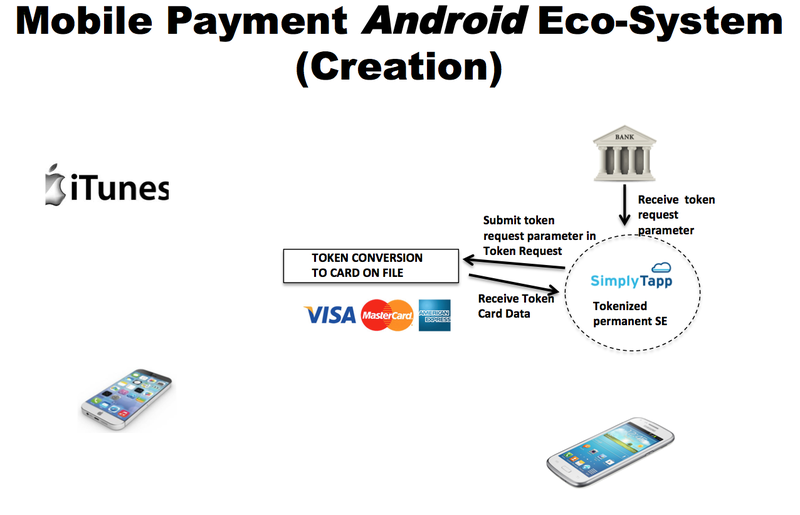 This data is injected to the tokenized card just like a non-tokenized card. You will notice that the net result from the reader perspective is identical in both cases; "Tokenized Data" as described above. The Android app and cloud based secure element, however, must work together throughout the life of the app on the phone to produce this result. Legacy Processing: The main thing, in my eyes, that tokenization solves is the backend processing changes. The HCE side of the equation requires, for some card networks, new Cryptogram calculation specifications to be processed because the cryptogram calculation process is forced to be changed. i.e. intro to CVN 43! Believe it or not, this is probably the biggest driver for tokenization because it is faster to build the tokenization engine and allow it to validate and convert the new cryptogram to an older version than it is to go into the old old old old (say it one more time...old) processing houses that are running Commodor 64, pascal, and big tape drives and get them to update the cryptographic algorithms on the HSM. So, both VISA and mastercard can just as easy validate the CVN 43 CBP cryptogram just before the service de-tokenizes it. 3) This token is ONLY valid for transactions within a 90 day period! Translating to Card On File: Major wins for Apple, Google, Amazon, and anyone else who has scores of cards on file buried in their datacenter. Not only does tokenization allow you to translate to an existing bank account. As displayed by Apple, it also allows you to translate a token to an account that may then represent one of many Cards On File for a particular google, amazon, or apple account. Potentially this allows lower than Card Not Present rates for internet based transactions.